Other than Pacey & Joey which is your Favorit couple? Who do Du think is prettiest out of Pacey's girlfriends? Let's say Pacey and Joey got engaged: How long do Du think they waited before getting married? Would Pacey and Joey make good parents? In Season 4 if Joey actually did turn out pregnant what do Du think they would have done with the baby? What is the best pacey joey episode? For quite some time a Debatte has raged among Dawson’s Creek fans. Should Joey be with Pacey oder Dawson? It seems like everyone has an opinion on this stormy Liebe triangle. When Katie Holmes and Joshua Jackson sat down to answer the Fragen everyone is asking, their feelings proved to be just as strong as their fans’ on the issues facing their Capeside characters. 1. Because he was there for her when Dawson asked him. 2. Because her was her friend before he was her lover. 3. Because he picked her up when she called him. 4. Because he was not afraid to finally KISS her. 5. Because when he touched her, she felt alive. 6. Because he counted to 10 before he kissed her. 7. Because she chose him. 8. Because she went sailing with him. 9. Because after 3 months of being together, they didn’t get bored of each other. Ok, I don't know who else watches/watched Dawson's Creek but I find HUGE similarities to the Joey and Pacey's relationship(Jacey, JP) to Brucas (BL); and Joey and Dawson's realtionship (Doey, JD) to Leyton(LP). Doey and Leyton are 'platonic soulmates'. i.e. they share similar interests JD film, analyzing, academic fulfillment; LP music, abandonment, the arts (writing and drawing). For Fans of the co-stars, and former real life couple. "Sometimes the hardest things to say are the things that really matter." Which one of them sagte this? This song reminds me of Pacey and Joey! Your favourite thing about Joey and Pacey! 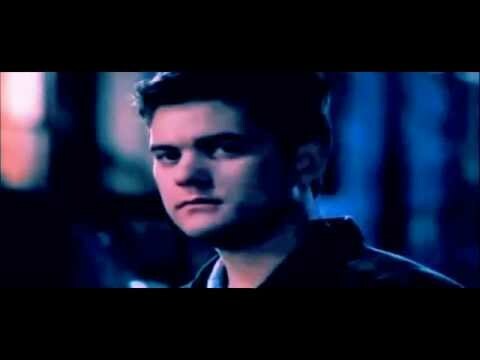 Describe What Du Think of the Relationship between Pacey and Joey.